As of today, 150 black-necked cranes arrived in the country, their winter roosting grounds. 122 cranes are sighted in Phobjikha, the valley that receives the highest number of cranes every year. 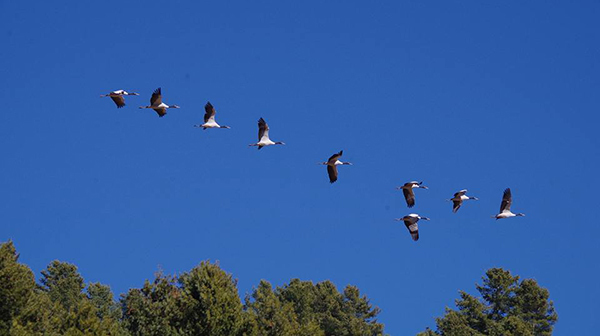 Khotokha in Wangdue Phodrang received 13 cranes followed by nine at Bumdeling in Trashi Yangtse. 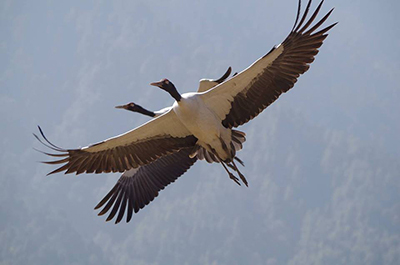 While three cranes each were spotted in Lhuentse and Bumthang. The Royal Society for Protection of Nature (RSPN) is keeping count of the cranes every year. They are expecting more cranes to arrive in the coming days. Last year, the country saw 626 cranes. Black-necked crane is listed as an endangered species in IUCN’s Red List of Threatened Species and is legally protected in Bhutan.